Okinawa（沖縄）, the southern most prefecture of Japan, also known as Ryukyu（琉球）, is a must-go for people who loves beaches or want to see the atypical side of Japan. As it was a tributary state to China and invaded by American troops at different points of history, its culture is distinctly different from that of other parts of Japan. It has a more casual/approachable feel, while the typical Japanese culture is more into detail and elegance. 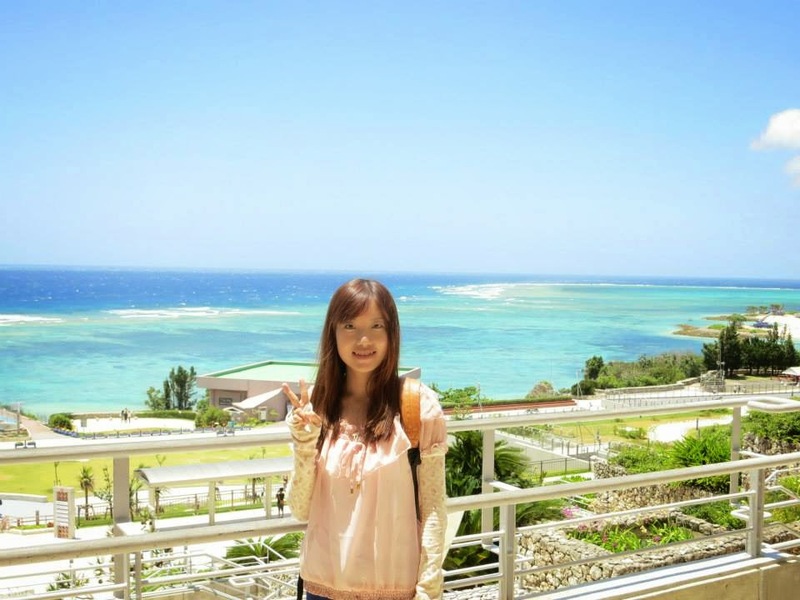 Went to Okinawa with a friend in August. 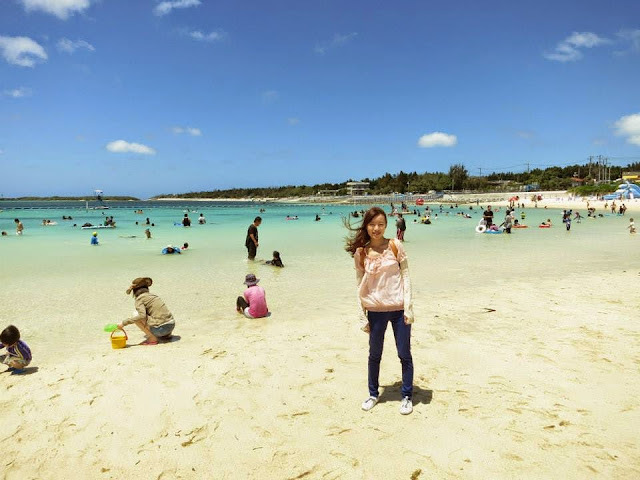 Unfortunately, there was typhoon, so our flight from Okinawa's main island to the Miyako islands was cancelled, and we had to stay in the main island for all 4D3N. 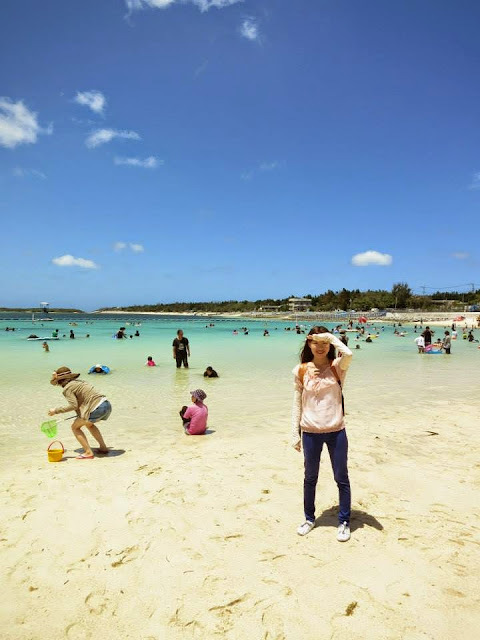 Though we were lucky in the sense that because of that, we could attend the fireworks and summer festival that we only got to know after reaching Okinawa. Flew there via Peach from Kobe, where we were living. Thanks to friend, traveled around via rental car that was reserved online in advance. There is a monorail covering the downtown area and buses covering the main attractions on the main island, though they can be quite infrequent, so driving is definitely a better option, considering that the road network is really simple and parking space is not difficult to find. Visited Shuri Castle（首里城）in Naha 那覇 (capital of Okinawa, located south of the main island), a rebuilt Ryukyu Palace. It was the administrative place and residence of the Ryukyu kings before Okinawa became a Japanese prefecture in 1879. The design has strong Chinese influence, very different from that of typical Japanese castles. Also went to Mihama（美浜）American Village, a large American outdoor shopping mall located near American military bases. Spent some time at the Sunset beach nearby, a pity it was really cloudy that day. During another night, had dinner at Makishi Market（牧志市場） near Kokusaidori. Visitors could choose fresh seafood from the market, request for them to be cooked and dine at the food court upstairs. Concluded that the only Okinawa food I like is Jimami Tofu, a type of peanut tofu that is creamy and even richer and more delicious than sesame tofu! Also went to Tomari Iyumachi for fresh seafood. Spotted this bar along Kokusaidori (2nd floor of a building) that serves 3 cocktails at only 1100 yen! Another must-visit is Churaumi Aquarium, probably the best aquarium in Japan. It is open-concept and located in the Ocean Expo Park, very well integrated into the beautiful sea and nature there. The dolphin show with the beautiful sea in the backdrop was amazing. Not to forget the big whale sharks. We went to the Expo Park again the next day as there was a fireworks festival in the night. It has a few attractions stretched out 3 km along the coast, we chose to buy the 200 yen only 1D shuttle bus pass to save all the walking. Visited the Native Okinawan Village, open air museum of houses from different periods of Okinawa. Admission is free. Also visited the Tropical Dream Center, which didn't impress me probably because I come from a tropical country. The fireworks and concert was held at Emerald Beach, which was really beautiful under the brilliant sun! It was unforgettable enjoying live music, beer, fireworks by the awesome sea. To top it off, one of the performers was Ryuichi Kawamura, vocalist of Luna Sea! As for lodging, stayed 2 nights in a guesthouse (Osaruno Oyado) and 1 night in a business hotel (Yamaichi) in Naha. Okay place for budget travellers.